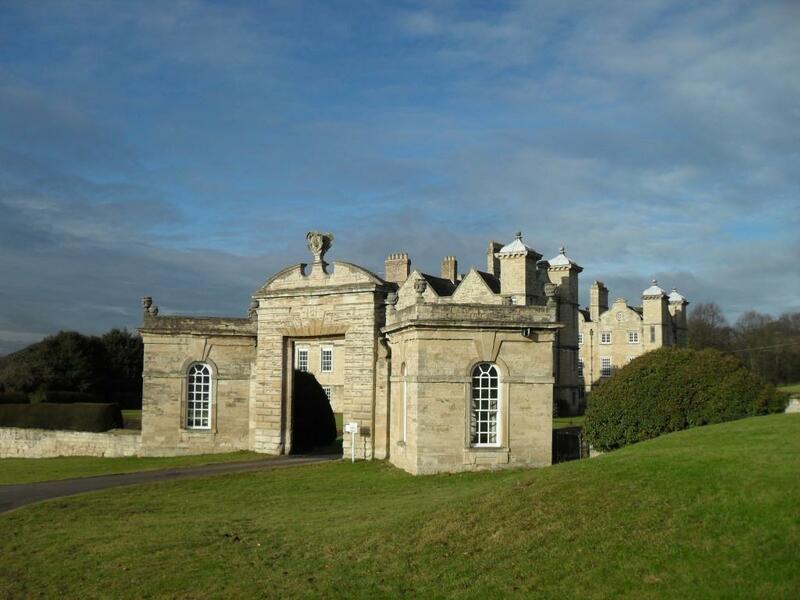 The classical little banqueting house at Ledston hall was designed in the early 18th century by William Thornton for Lady Elizabeth Hastings. 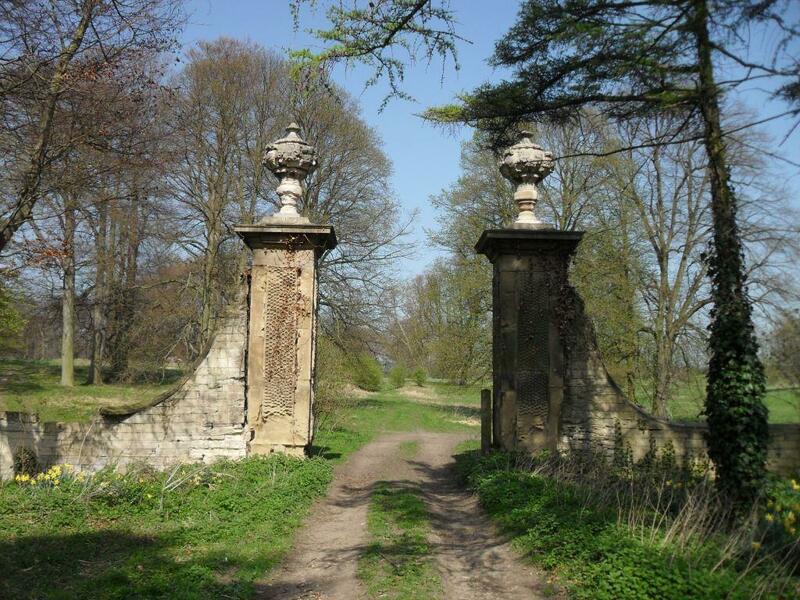 The entrance gates to Ledston Hall are probably late 17th century and the side lodges are probably early 18th century. In the centre of the pediment is a carved coat of arms. Above the double wrought-iron gates is a wrought-iron panel with Sir John Lewis's cypher in the centre. 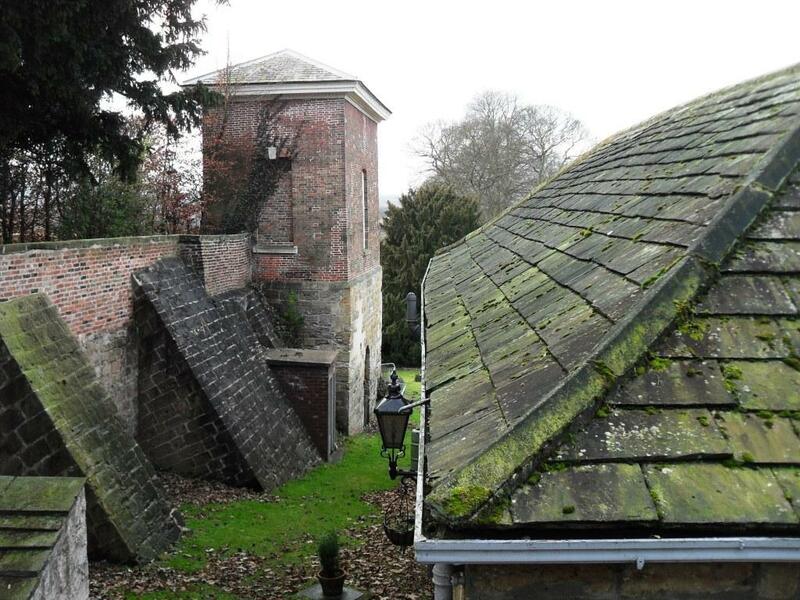 The icehouse at Ledston Hall was part of the embankment for the terrace and was connected to the cellars of the house by a tunnel.